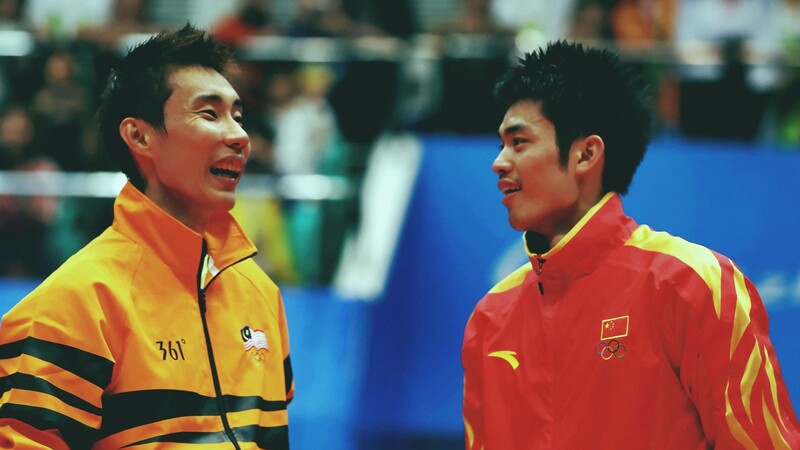 Every Malaysian who watches badminton will know of the on-court rivalry between Dato’ Lee Chong Wei and Lin Dan of China. Lin Dan’s nonreturnable smashes and drop shots versus our Dato’ grim spirit and fierce determination make any match between them a nail-biting, suspenseful experience for viewers. In the 37 times they’ve clashed, Lin Dan has walked away triumphant 25 times, whereas Lee Chong Wei beat the odds and won 12 times. 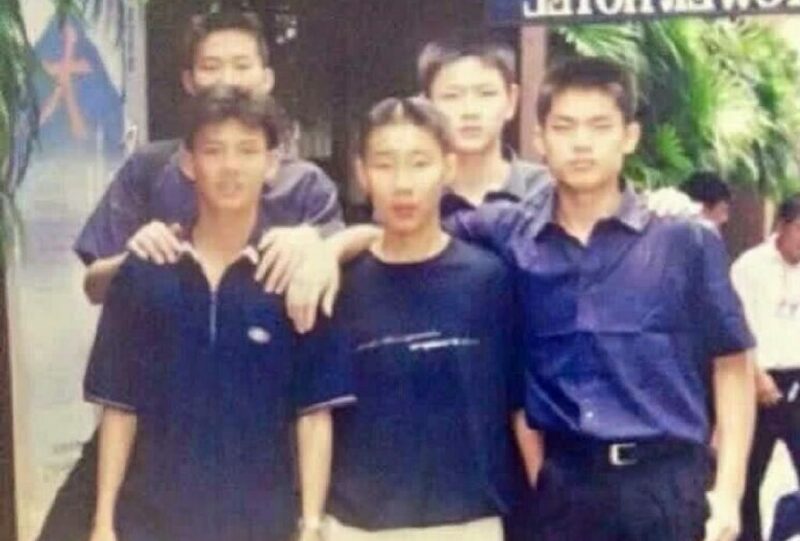 Despite the number of wins skewing heavily towards his end, Lin Dan has always been vocal about his admiration for Lee Chong Wei. “I have played against many players but I will always consider Lee Chong Wei as my toughest competitor,” he said in an interview earlier this year. With Lin Dan and Lee Chong Wei pushing 32 and 33 respectively, it would seem their long standing rivalry is finally coming to an end. We look back at some of their most intense and memorable matches. 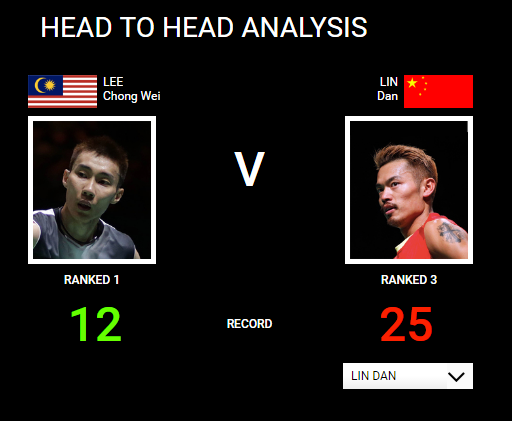 According to the Badminton World Federation, Lee Chong Wei and Lin Dan first clashed in the TUC Asia Preliminaries 2004, where Lin Dan set the tone for the future, besting Chong Wei 15-3, 13-15, 6-15. 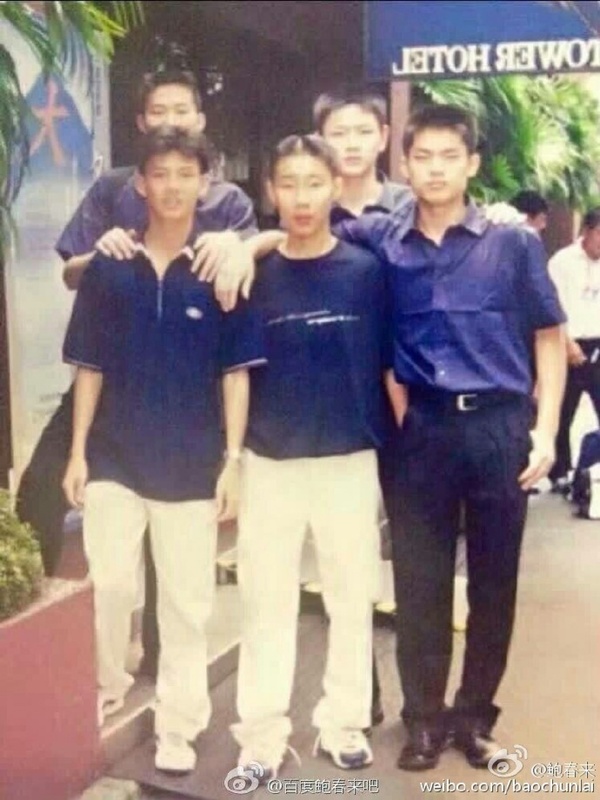 However, based on this photo uploaded by Bao Chun Lai, another Chinese badminton player, the badminton greats met in 2000. Their next big finals clash was in the Yonex Sunrise Hong Kong Badminton Championship 2005, where Lin Dan again showed his mastery by trouncing Chong Wei 4-15, 6-15. Chong Wei performed much better in his home country, beating Lin Dan two years in a row in the Malaysia Open for 2006 and 2007, and would go on to win the title 11 times from 2004 to 2016. Of course, who can forget their first Olympic finals battle in 2008, with Lin Dan emerging triumphant? However, I think most Malaysians would agree it was their second clash in 2012 that was the most heartbreaking. 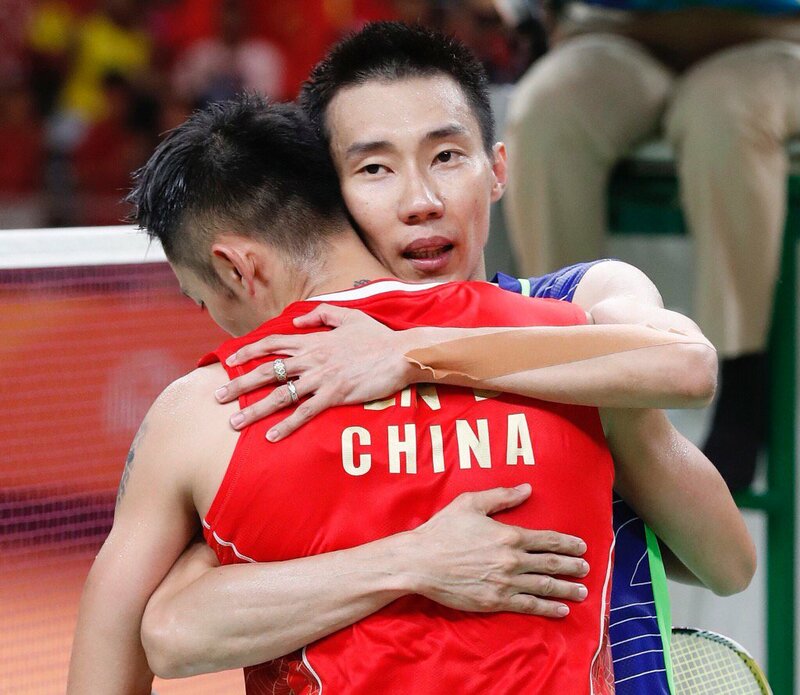 Who didn’t tear up to see Lee Chong Wei’s short but sad apology on Twitter after the match? Finally, our Dato’ got the exorcise his demons on the international stage by finally triumphing over his longtime rival in the recent Rio Olympics, treating us to an epic match and winning 15-21, 21-11, 22-20 in the semi-finals. It wasn’t always about the competition though. 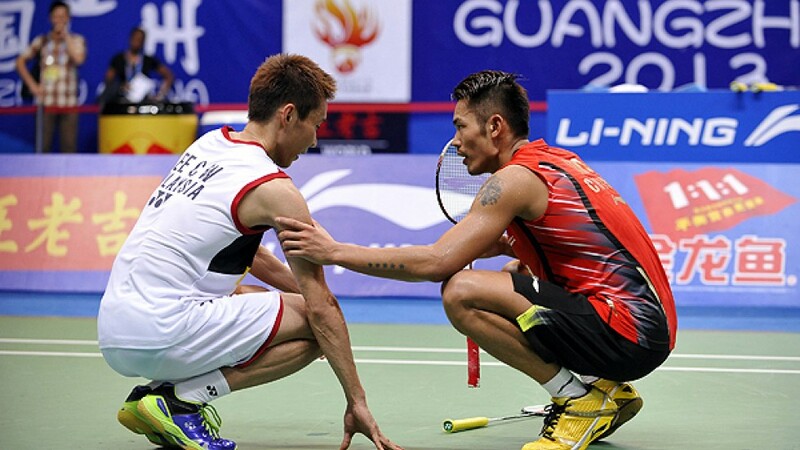 Throughout the years, you can see images of Lin Dan consoling or encouraging Chong Wei at important moments. For instance, at the Badminton World Championship final in Guangzhou in 2013, Lee Chong Wei was forced to abandoned his game in the decider due to injury. 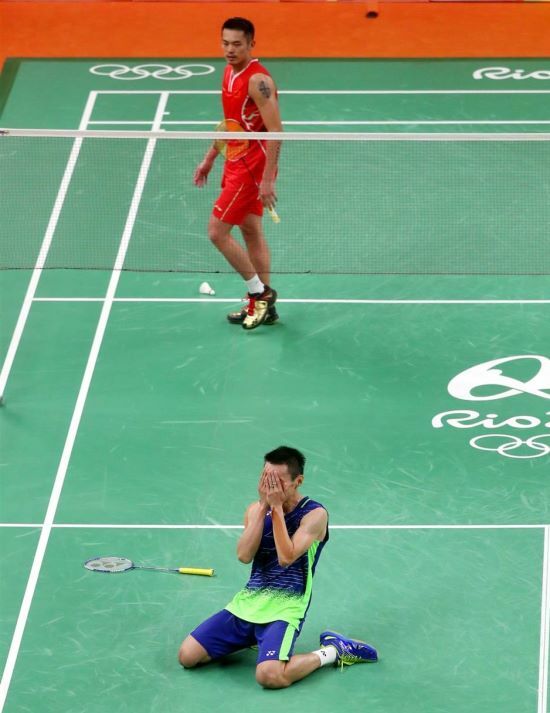 Lin Dan, who has been criticised for brashness and arrogance, showed no trace of this in his dealings with Chong Wei. If you follow both shuttlers off the badminton court, pictures will emerge of them generally enjoying each other’s company and having fun with each other. Chong Wei also attended Lin Dan’s wedding to Xie Xingfang in 2012, and they’ve even partnered together for a friendly doubles match against Cai Yun and Fu Haifeng in Lingshui. 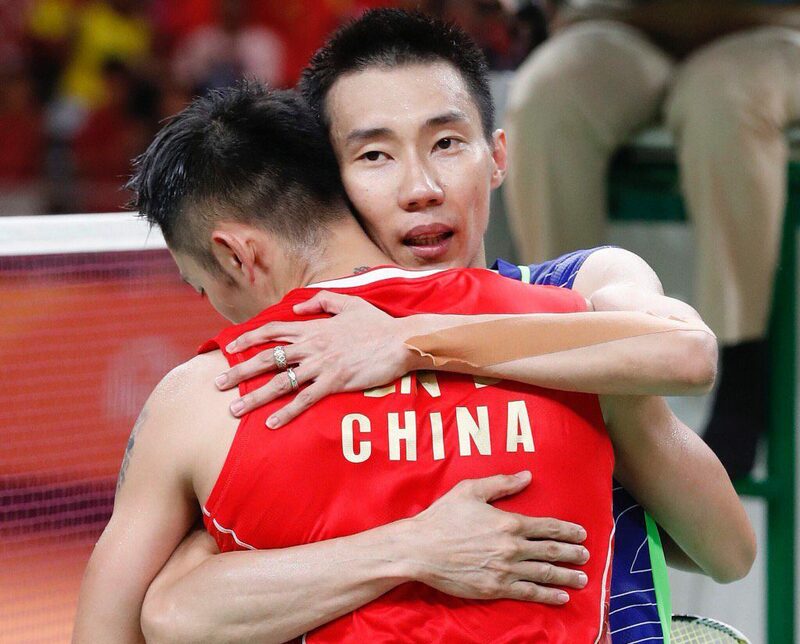 Their bromance is so strong that Lee Chong Wei was even honoured with a “China-Malaysia Star of Friendship” award. 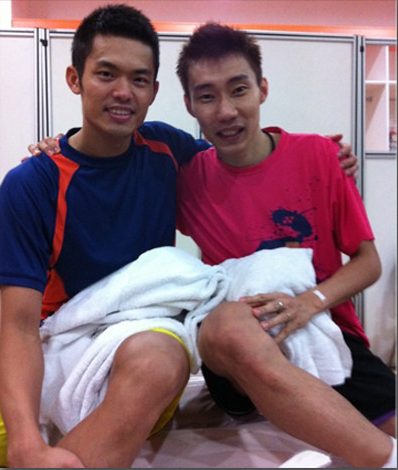 It’s not the main reason why he got the award, but his friendship with Lin Dan probably played a part. It’s been an honour watching these two badminton greats battle it out over the years. We hope that athletes in the future will rise up to the challenge and show us even more powerful games and inspiring friendship in the future.